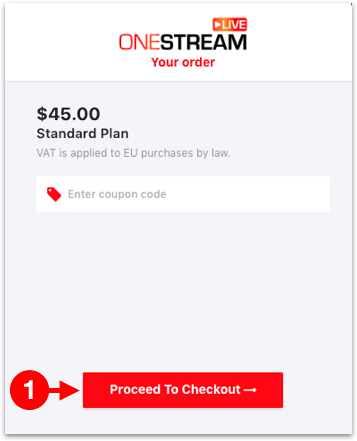 There are two available payment options to purchase OneStream subscriptions. Credit or Debit Card (MasterCard, Visa and American Express are supported). Make sure your card is enabled for online usage. 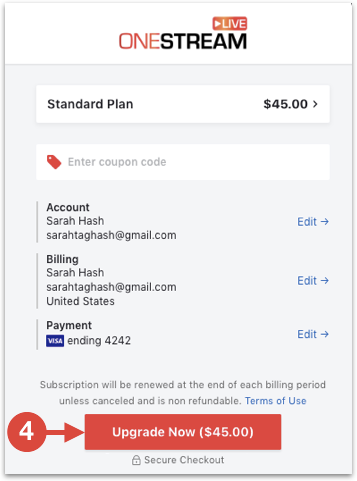 Once you select the subscription plan you wish to buy (Monthly or Yearly), billing portal will open. Here you can see your upgrading subscription plan, click Proceed To Checkout. 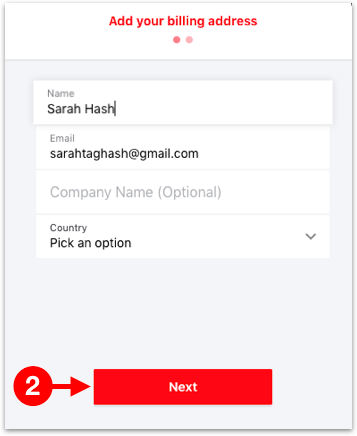 Add your name, email address, and other details here, then click Next. 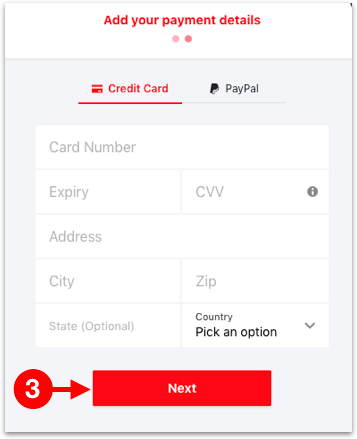 Now you can choose your payment method (Credit Card or PayPal) and fill in the details to upgrade to your desired subscription and click Next. After adding the details, click Upgrade Now.